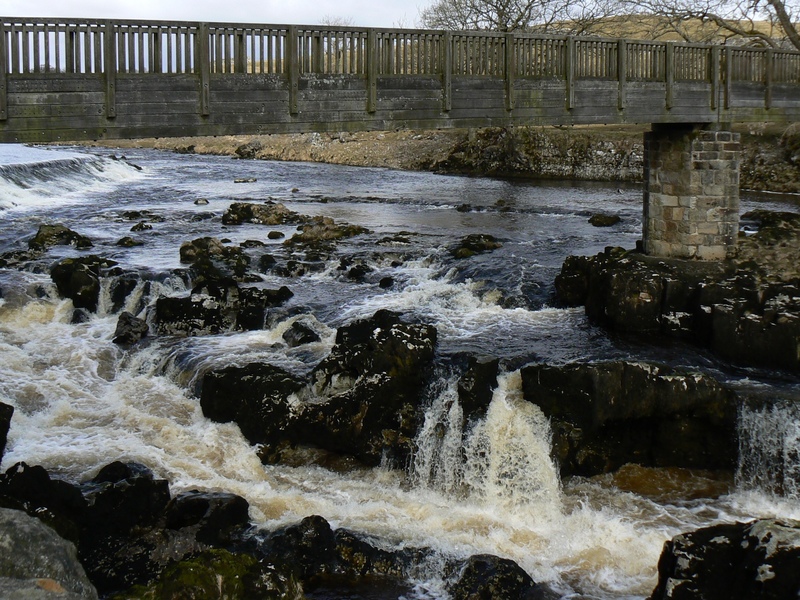 Linton Falls is a popular waterfall on the River Wharfe and is located at the foot of Sedber Lane which drops down to the river from Grassington. Although fairly modest in height it is the largest waterfall on the River Wharfe. The popularity of the waterfall is no doubt due to it being an easy stroll from the National Park car park in Grassington. A footbridge leading from Grassington to Linton spans the fall. It is the fourth bridge to be located in the this spot. The original Tin Bridge was built in 1814 for workers at Linton Mill, the current bridge was built in 1989 after the previous incarnation was closed for being unsafe the previous year. Linton Falls has two distinct sections. 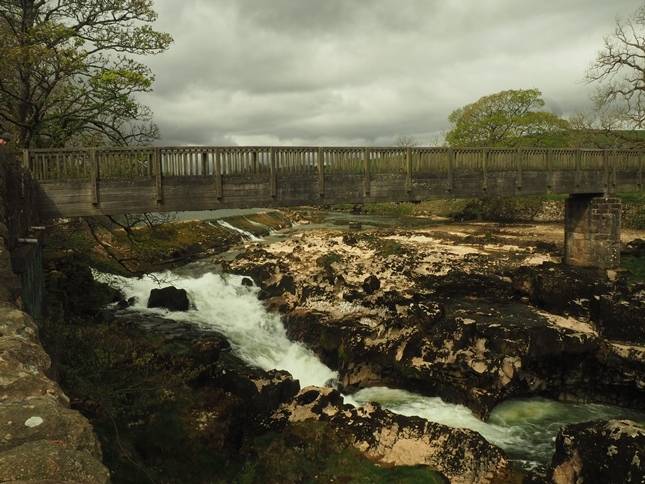 The first is a small weir with an elegant curved drop, the second is a much less placid affair as the river is forced between limestone outcrops immediately below the bridge. 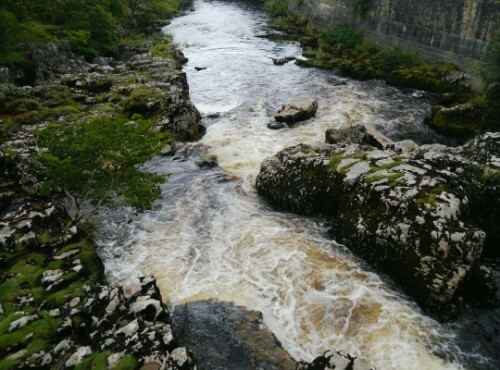 The constriction of the previously wide river, combined with the small drop in height, creates a dramatic scene, particularly after spells of rain. In a dry spell the scene is very different. 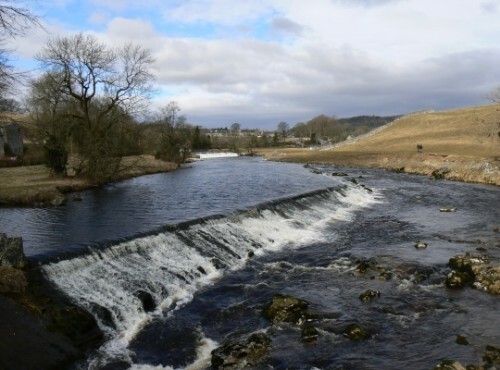 On one visit in April 2017 the small weir was virtually dry with the main fall restricted to a narrow drop below the southern end of the Tin Bridge.